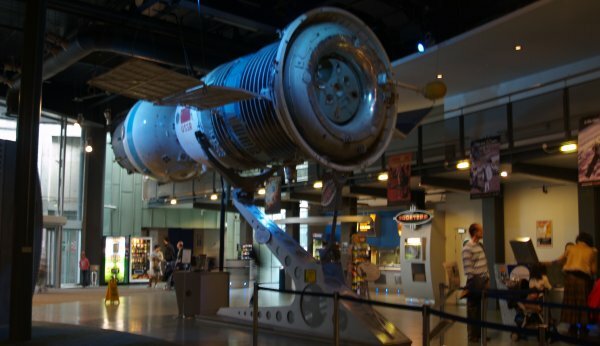 The National Space Centre at Leicester is well worth a visit. 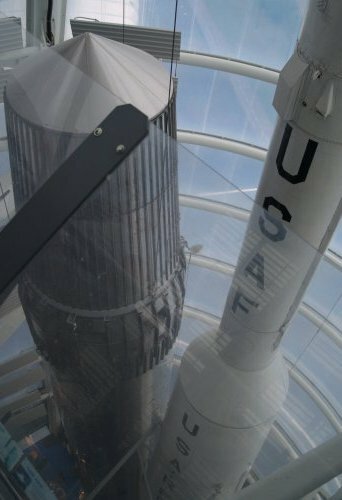 The National Space Centre at Leicester is well worth a visit and there is nothing more atmospheric than eating below some rocket engines! 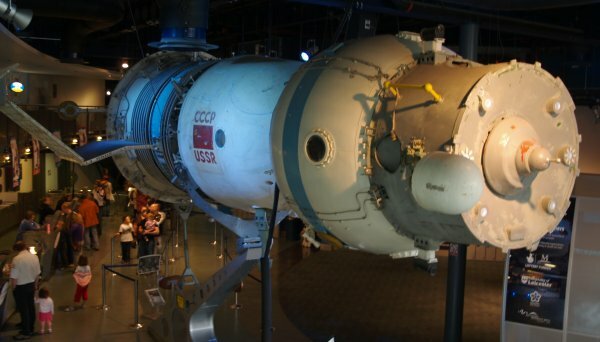 When entering the foyer you are greeted by the Russian Soyuz space capsule! 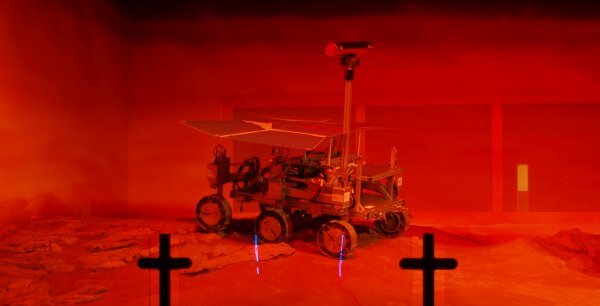 National Space Centre, Leicester: The Mars Rover! 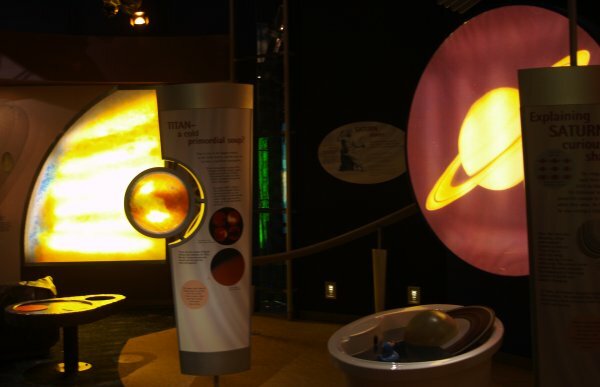 National Space Centre, Leicester: Lots of displays explaining what satellites can do orbiting Earth e.g. 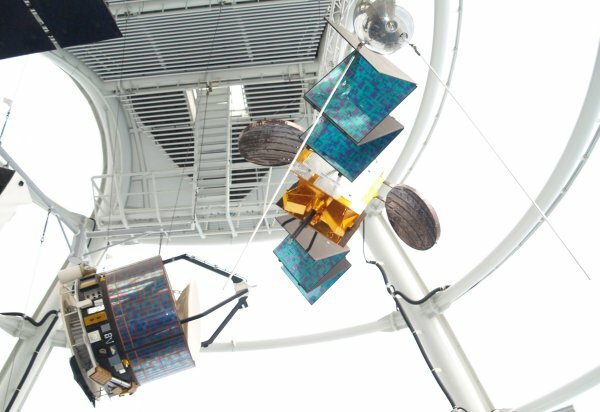 geographical surveys, weather monitoring and other investigating the surface and atmospheres of planets like Mars, Saturn etc. 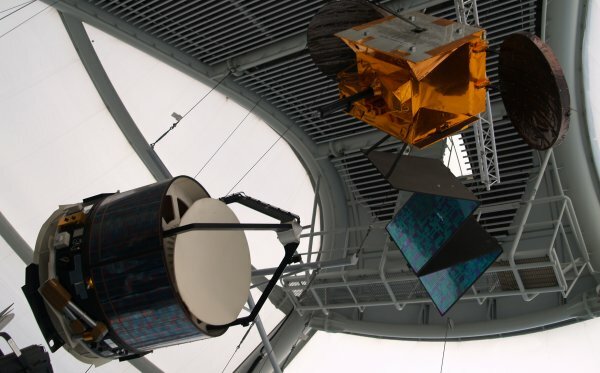 National Space Centre, Leicester: Suspended satellites, with wires NOT gravity! 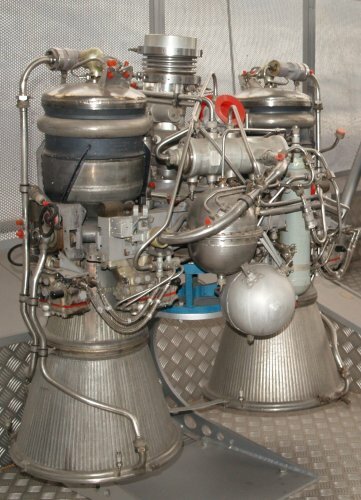 National Space Centre, Leicester: Rockets and rocket engines! 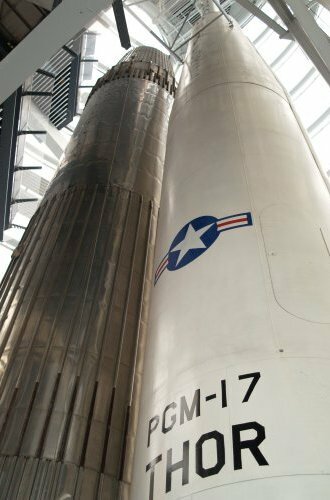 National Space Centre, Leicester: The British Blue Streak rocket (the largest rocket built in the UK) and the USAF PGM-17 Thor Rocket. 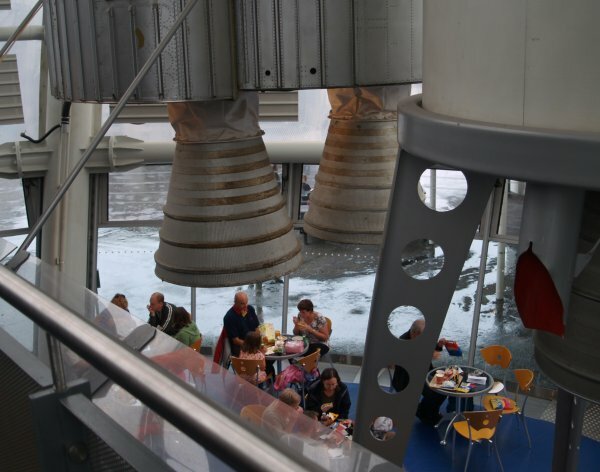 National Space Centre, Leicester: Atmospheric 'cafe' place to eat under the retired rocket engines! 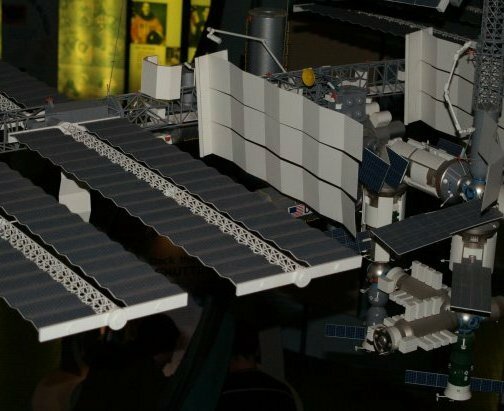 National Space Centre, Leicester: A model of a large space station with all the solar panels extended to absorb the Sun's radiation to provide energy to power the space station. 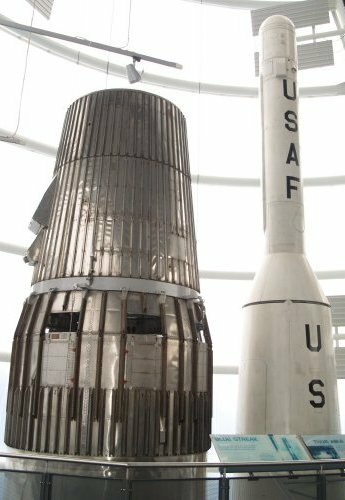 The picture on the right shows a meteor damaged panel, a constant danger for any space station. 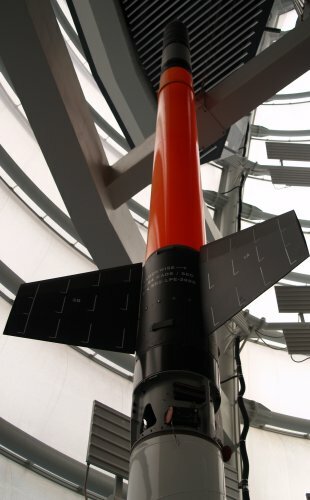 The high speed impact of even a tiny meteorite can cause severe damage to the structure of any orbiting space station or satellite. 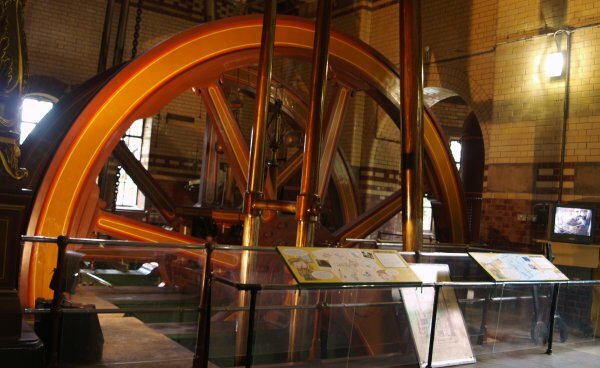 Next too the National Space Center is the Abbey Pumping Station Museum which has a small cafe. 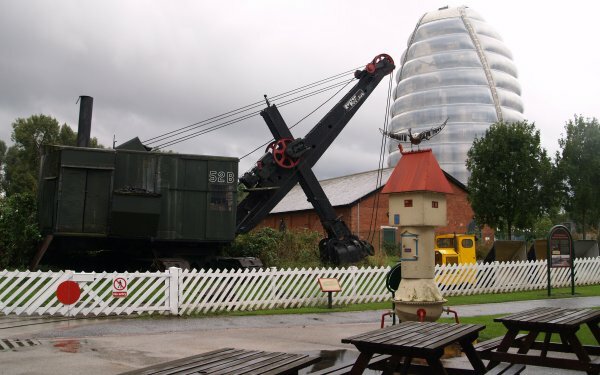 There are lots of exhibits including old motorcycles, a great steam shovel, a working steam engine train and of course the great wheels and cylinders of the massive Gimson water pumping engine. 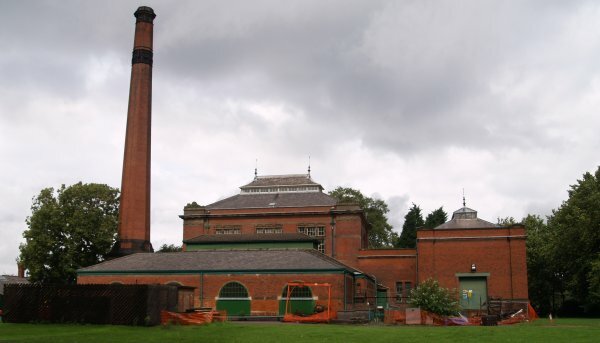 These pumps enabled Leicester to pump all of its sewage to the water treatment plant at Beaumont Leys when it was built in the late 19th century between 1887 and 1890 and to a height equal to that of the chimney stack of the Abbey Pumping Station (see picture lower down). 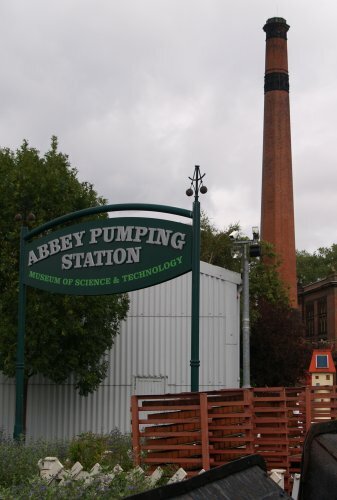 The Abbey Pumping Station Museum is just across the car park from the 'dome-like' structure of the National Space Center, Leicester. On your way in you pass the giant steam driven shovel (Ruston Bucyrus 52-B steam quarry shovel to be precise!). 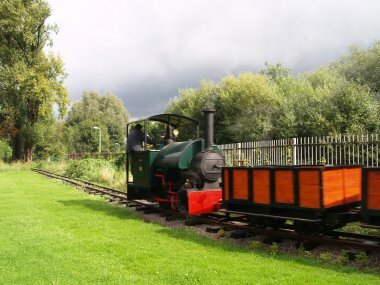 It was built in 1935 and worked in an Oxfordshire quarry until 1967 and was one of the last steam powered excavators in Britain and was known as the 'Steam Navvy'. 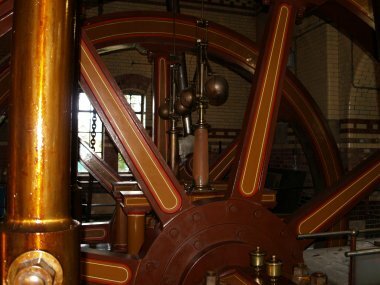 The Abbey Pumping Station which houses the museum of science and technology. It was designed by Stockdale Harrison to look like an Elizabethan country house in 1924! It stopped pumping sewage in 1964, though by then the steam pumps were assisted by electric pumps. 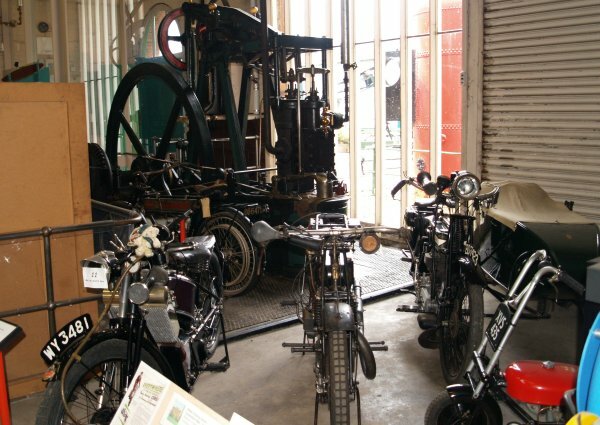 Quite a variety of historic motor bikes, pumps and other gadgets from Victorian times and the earlier 20th century. The giant wheels working the pumps are driven by steam beam engines and the pumping station is fired up occasionally for demonstration. 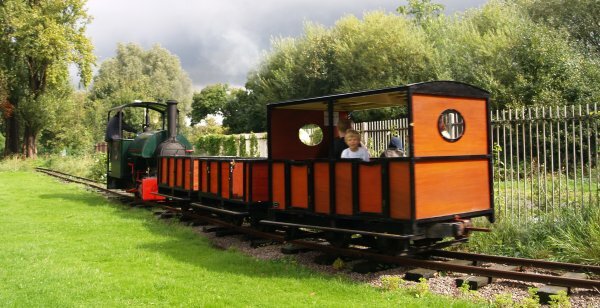 The giant wheels of the steam pumping engine contrast somewhat with the little steam train locomotive that trundles around the Abbey Pumping Station, and a great little ride for the 'kids' of any age! 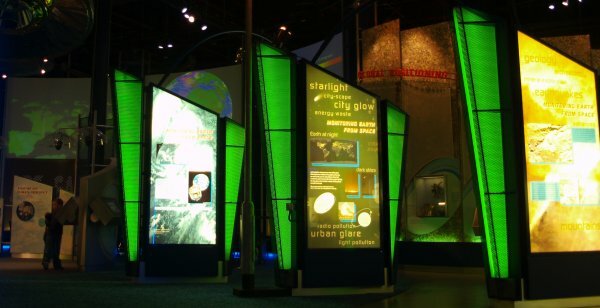 Overall a grand and interesting day out.